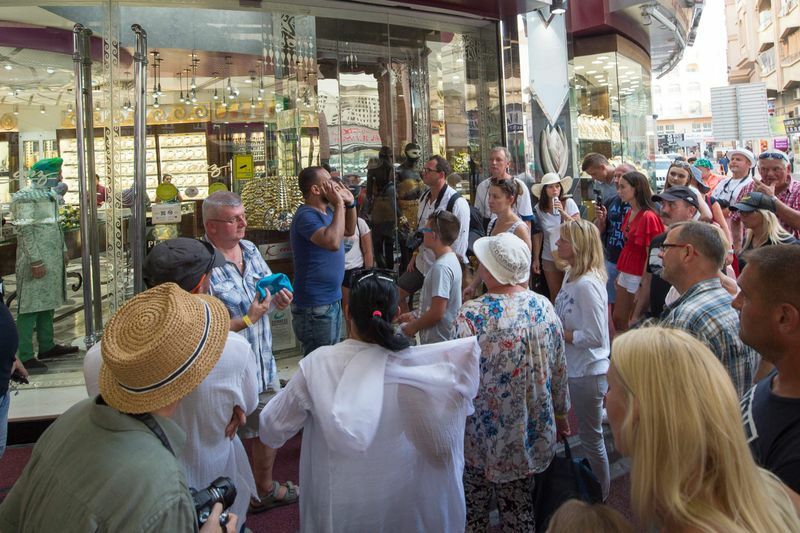 What does the Gold Souk offer residents and tourists? People can shop for gold, spices and more. Dubai: A maze that leads to a pot of gold - that’s what it is like going to Dubai’s iconic Gold Souq. As you walk through the labyrynthine alleys, at the junction of two lanes - Sikkat Al Khail Road and Old Baladiya Road - is where you will find a haven for gold lovers. 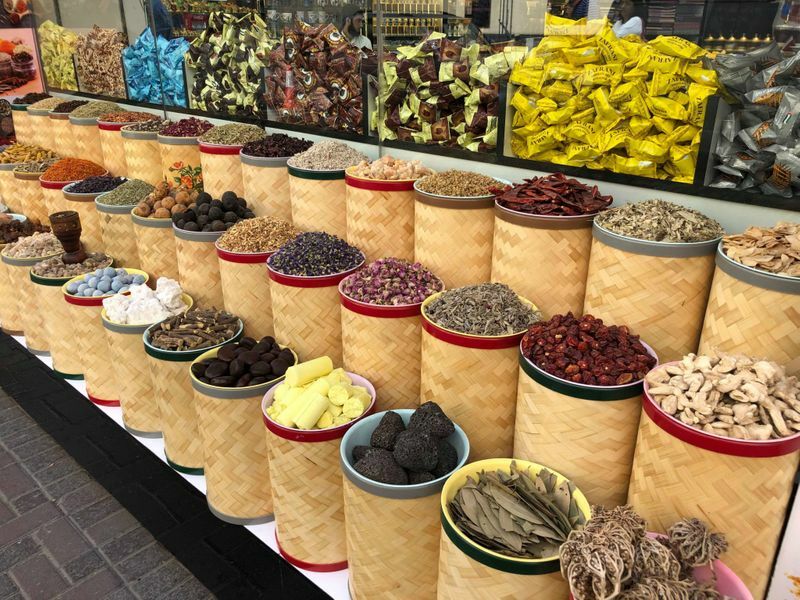 Glittering jewellery, aromatic spices, the sound of the azaan or call for prayer and a buzz that is inimitably ‘Old Dubai’ — walk into Dubai’s Gold Souq and you might just feel like you’ve gone back in time. 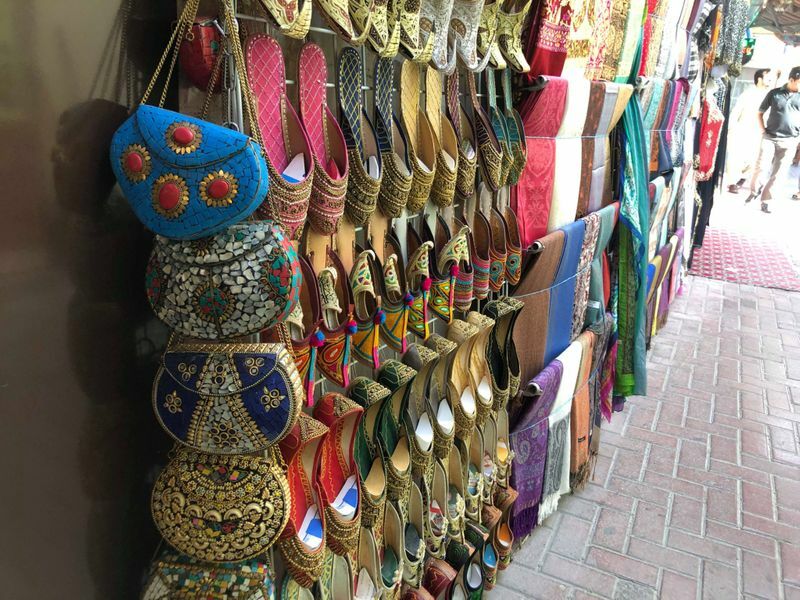 Located in Deira’s Al Ras district, the Dubai Gold Souq is a traditional marketplace in a metropolitan city that has retained its Arabian feel through its architecture, items on sale, small shops and old-city charm. This traditional market is a hub for shoppers from across the world. Gulf News spoke with visitors and shopkeepers to find out what the best deals and latest trends are when it comes to shopping for gold! One striking feature of the souq is how it is filled with traders who have spent their entire lives in the market. Walk into a tiny shop, tucked in between the bigger, branded shops, and you will be surprised to hear how many stories an old man sitting behind the counter can tell. One such trader is Pakistani expatriate Mohammad Ashiq. He spoke about the time he met with Shaikh Rashid Bin Saeed Al Maktoum, 45-years ago. That interaction is still fresh in his mind, and Ashiq says that each word holds true even today. He said that he intentionally scaled his business down, after he realised he did not want to manage a very big set up. “Everything is going really well. Even today, if you make sure you work hard and work honestly, you will have a great business,” he added. Speaking about the vast trading options that the Gold Souq offers, Ashiq said that all kinds of gold and precious metals were grabbed up by customers. “Stock diamonds, they sell. Keep Arabic [jewellery designs], they sell. People from across the world come here so from 18k to 24k, stock anything in your shop and it will sell,” he added. Many other shop owners also spoke about how the market has been home to businessmen for decades. Twenty eight-year-old Arjun Dhanak, who comes from a family of gold traders, said that his father was born in the Gold Souq. As a teenager, he remembered spending his summer vacations sitting behind the sales counter, watching the steady hum of business. Today, he is the director of Kanz Jewels, which has seven outlets in the Gold Souq. Speaking to Gulf News about which designs or purity of gold work best, he said that 22k jewellery was quite popular as many tourists that came from India wanted styles that were not available in their country. “There is also a lot of jewellery that we manufacture ourselves and that is in the Kuwaiti style. We also do a lot of fusion jewellery, which is a mix of Indo-Western styles because a lot of the young customers are looking for something different,” Dhanak said. Catering to a global market also means being multilingual. Dhanak said that every employee at his shops spoke at least three languages. One of the salespeople at the shop – Egyptian national Saad Shams Al Deen – happily provided a sampler of all the languages he could speak: Arabic, English, French, Russian, German, Spanish and Polish. There is also no dearth of hospitality among these traders. Customers might just come to check out designs at a shop, but as soon as they spend a few minutes at the store they are offered cold water, mixed fruit juices or – if they express interest – kadak chai, after a quick order is placed at a nearby cafeteria. The presence of lifelong traders in the market also does not hinder fresh entrants, as the ‘City of Gold’ keeps churning out new shops. Iliyas Matouk, a Syrian salesperson, has worked in the Gold Souq for 14 years, and said that as long as people were willing to work hard, there were customers willing to pay the price for the perfect piece of jewellery. “Our shop focuses on 18k branded Italian jewellery, so we cater to customers who want something exclusive. There are 200-300 shops in this souq. You have to keep working hard if you have to catch the customer,” Matouk said. 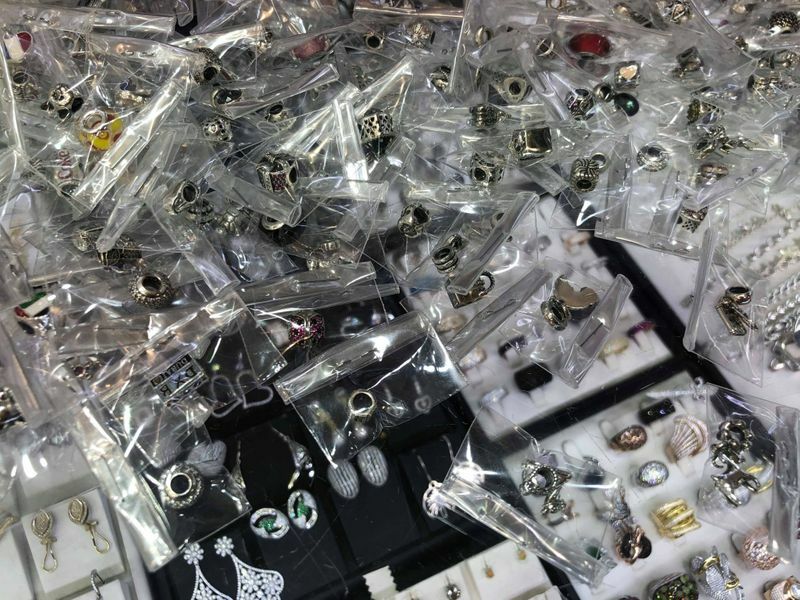 However, the souq does not just offer gold, silver and precious stone jewellery. Pakistani expatriate Zain Sher has a souvenir shop in the market and has been plying his trade in the marketplace for 12 years. 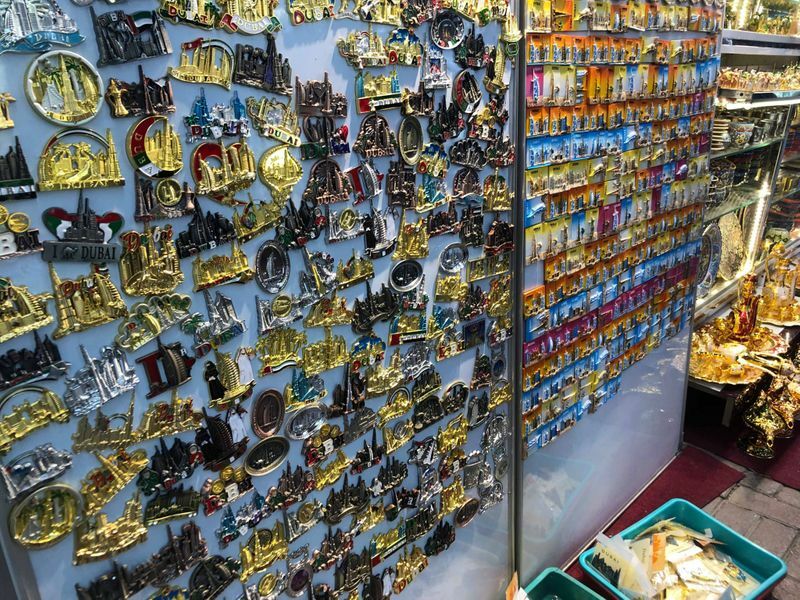 He said that many tourists come by his shop and mostly bought magnets for friends and family. Other fast-selling items include pashmina shawls, miniature replicas of the Burj Khalifa and the traditional Arabian coffee set, which comes with a jug, small cups and an ornate tray. Prices of some items start at Dh10 and the most expensive ones, the shawls, can go up to Dh500 to Dh1,000, depending on the material. Despite not going to school, Sher can speak more than four languages, including Chinese, which he picked up after coming to Dubai. Coming from a family of businessmen, he added that his cousin owned a spice shop in the same market. Finnish tourist Tanja Forslund has been to Dubai thrice and each time, she makes it a point to visit the Gold Souq. It holds a special place in her heart. Forslund finds the souq beautiful because of the people and the “Arabian mystique”. She had already made memories of her own, and was looking forward to spending time with her family. “I wanted to bring my children to the city, so it is their first time here,” she said. 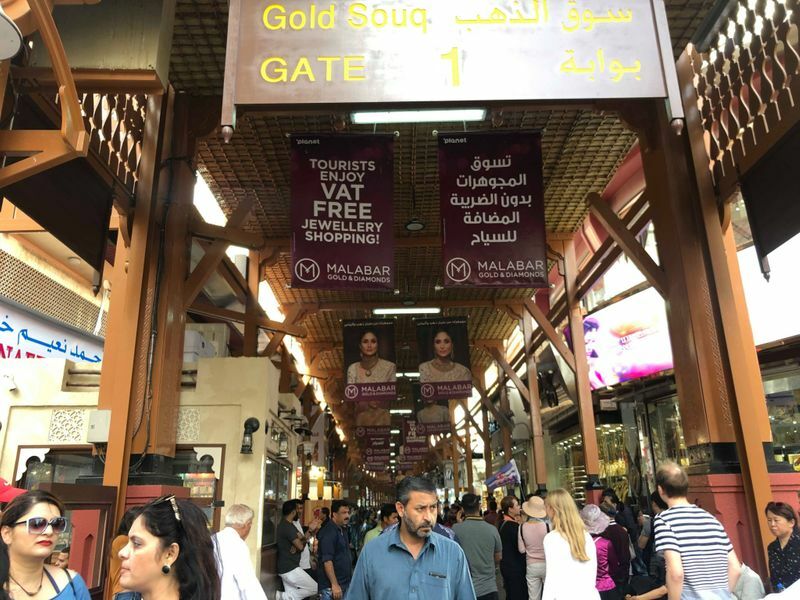 Canadian national Bhavay Adlakha had heard “a lot of good things” about the Dubai Gold Souq, so much so, that he decided to check it out on the first day of his holiday. We actually caught the tourist in the middle of a bargain and had to wait in order to conduct the interview. He said the variety and the options available were “confusing” him. The market place has different carats of gold, sizes of necklaces and options for visitors. 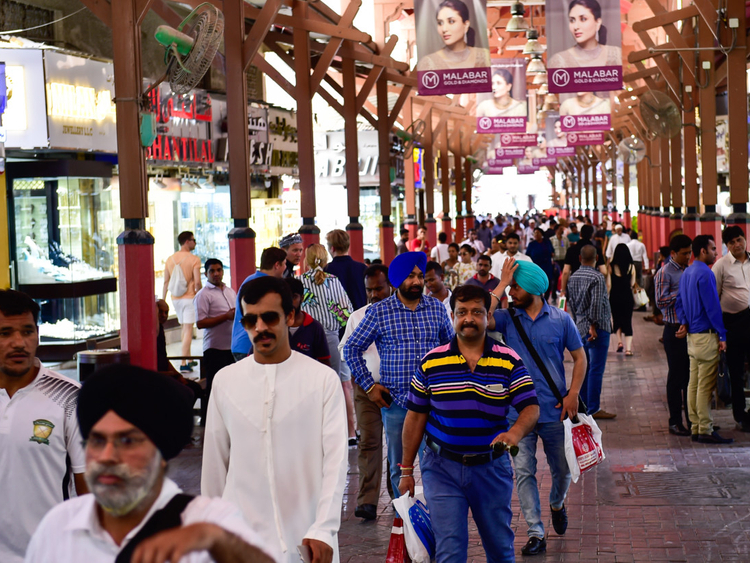 While the souq is a shopping destination for tourists, it is also a favourite among UAE residents. Indian national Kamal Jit Ram has been living in the UAE for 25 years and often comes down to the Gold Souq, from Ras Al Khaimah, to roam around. He advises tourists to make a trip to the souq part of Old Dubai as they will never manage to find this much gold under one roof. 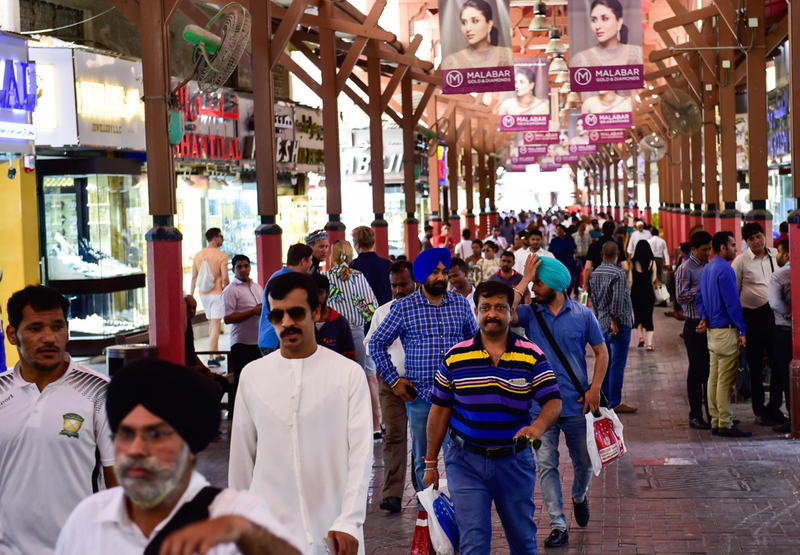 Tourists from Jalandhar, Punjab, Diljit Kapur Panesar and his wife were not only impressed with Dubai and the way the city functions, but said that the “concept of the souq is very different”. 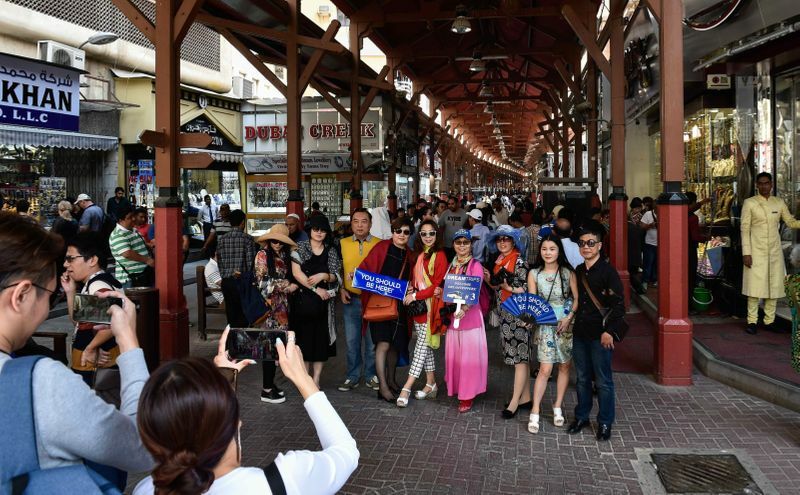 They made it a point to visit the souq because it is “a famous market of Dubai” and they heard about it on television. The souq has plenty of alleyways lined with shops, so you might need to take out a whole day just to explore this area of Dubai.